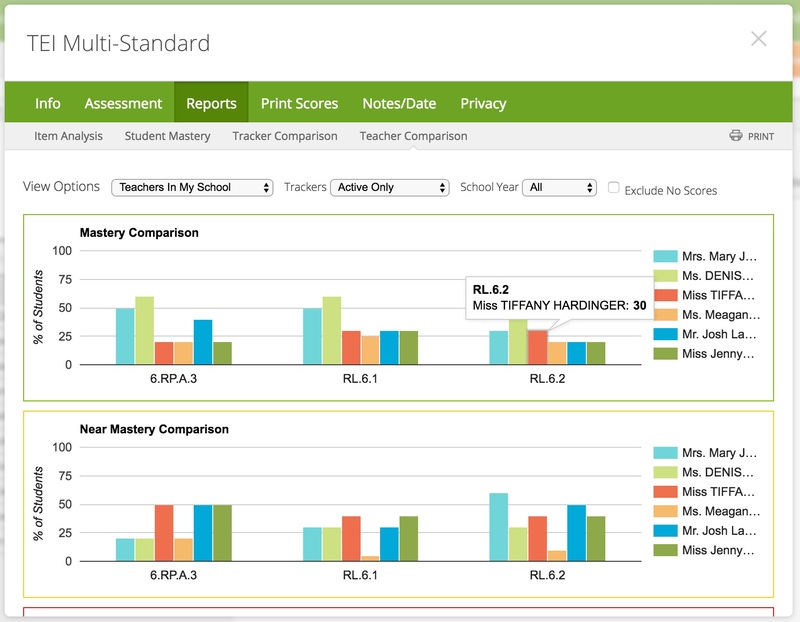 A variety of reports are available to teachers in MasteryConnect, including student mastery reports, assessments, item analysis, student groups and teacher comparison reports. 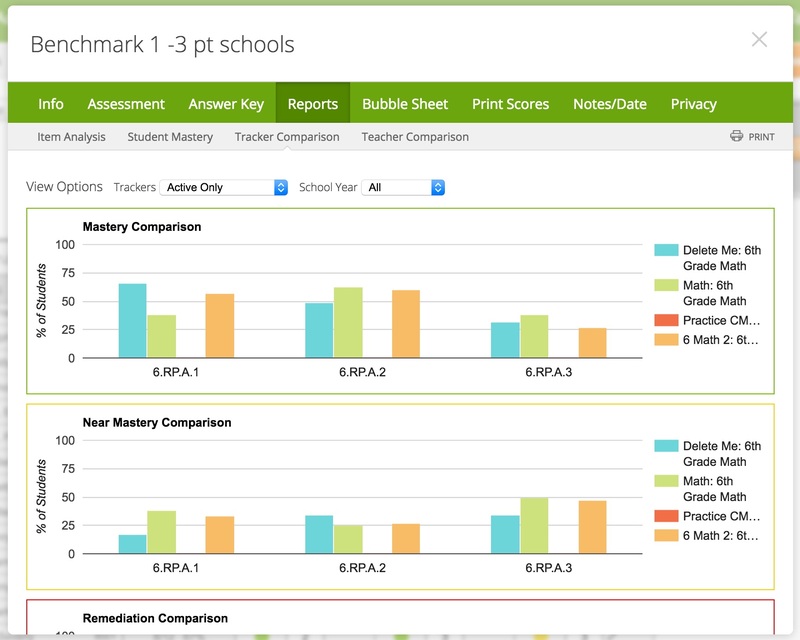 The following is an overview of some of the reports that are available to teachers in MasteryConnect. 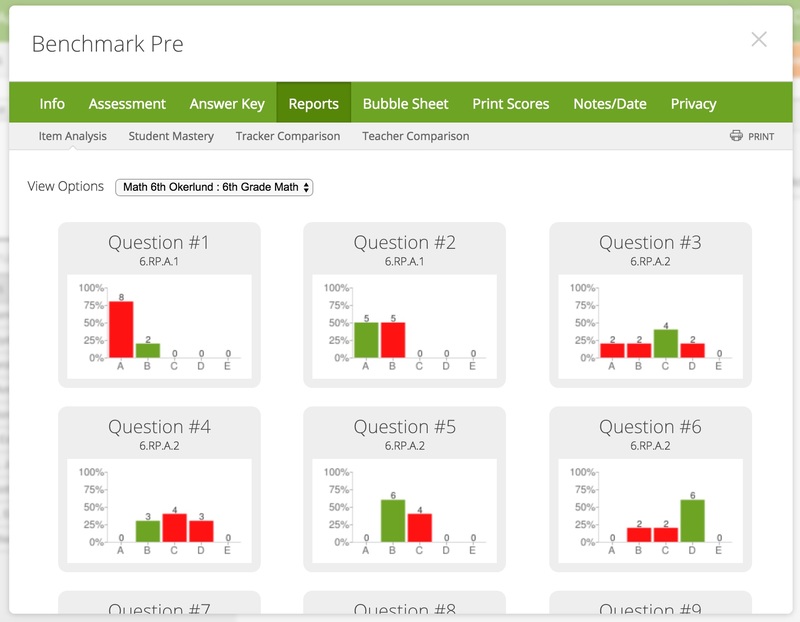 On the tracker you can view which standards your students have mastered. Click Trackers, and select a tracker to view it. 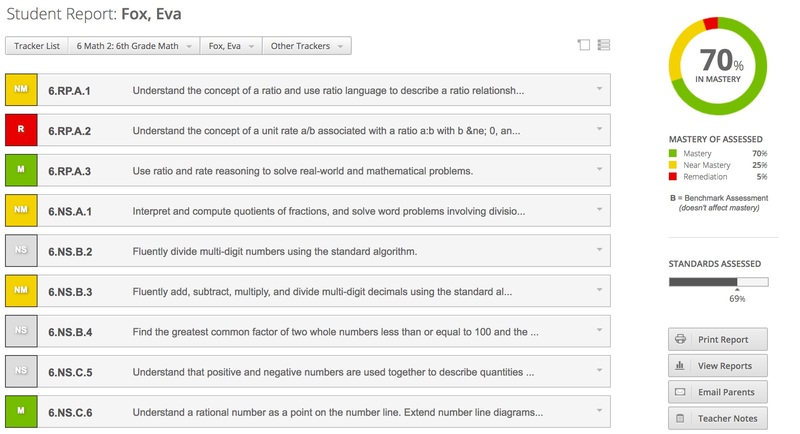 You can view an individual standard in your tracker, and sort that standard by mastery. Click a standard heading in your tracker to view that individual standard. Student Reports are available through your tracker. Click on the student's name in your tracker to view the report. You can also share it with parents through email or the MasteryConnect Parent login. 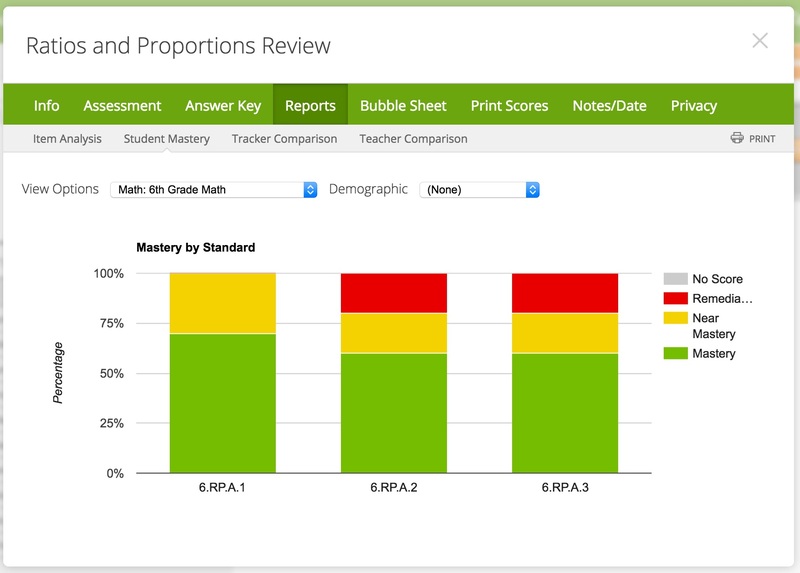 You can view reports for specific assessments, including item analysis, student mastery, tracker comparison, and teacher comparison. To view the Assessment reports, click on the heading of a single standard assessment, and select Reports. 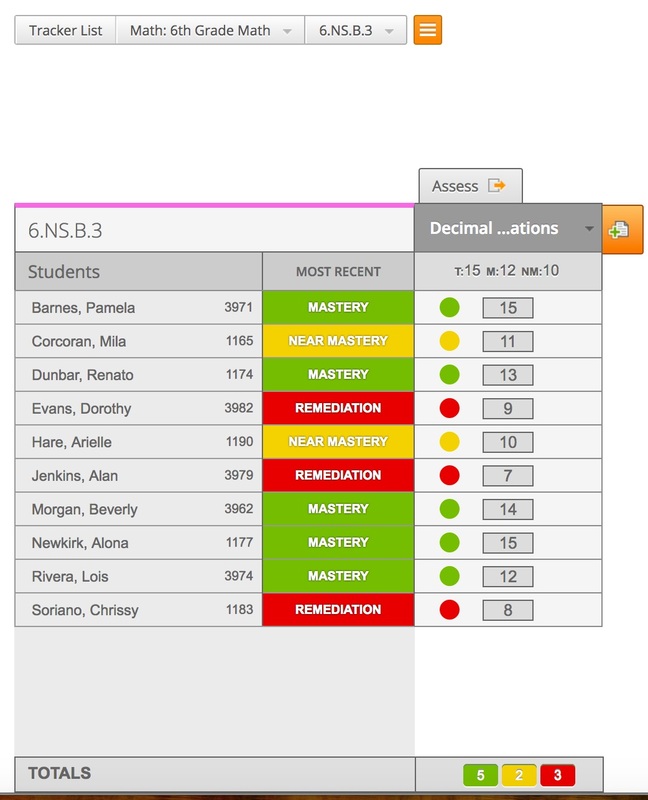 Or, click the orange menu button in a multi-standard assessment and select Reports.